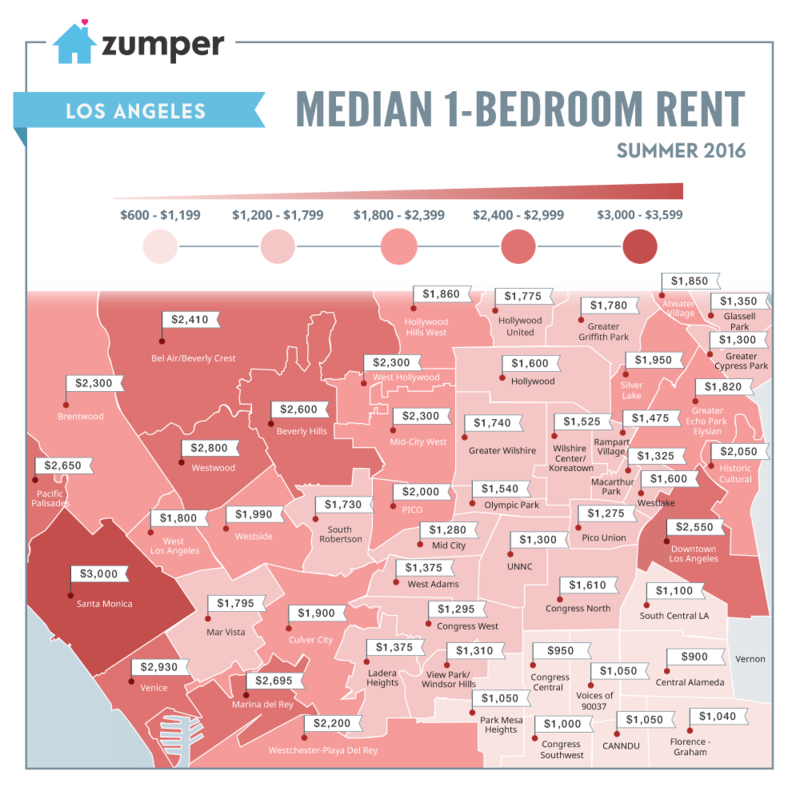 Infographic: How much is it to rent a one-bedroom in Los Angeles? Over the past year, rent prices for both one- and two-bedroom units in L.A. have appreciated over 15 percent. Beachfront neighborhoods Santa Monica ($3,000) and Venice ($2,930) were the most expensive rental areas in May. More affordable rentals priced in the $1,300-$1,500 range were found in Congress West, Pico Union and Glassell Park.